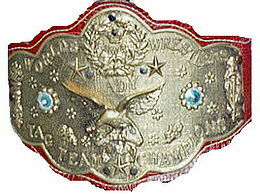 – WWE and holidays never mix if you seek quality television. It was the Fourth Of July and America celebrated it’s 240th birthday with greasy grilled goodness and such. WWE threw on a three-hour Raw with the agenda of half-assedly pushing Battleground with holiday filler. It worked in some ways and was missable in many others. Case in point – the opening segment was your general locker room food party. The Golden Truth performed on stage before The Vaudevillains forced them off and then Aiden English had food thrown at him. WWE Intercontinental Champion The Miz/Maryse warned everybody not to let it end in a food fight and sure enough, that’s what happened. Kevin Owens also got pied by someone in the face off-camera, Heath Slater went through a table, Darren Young sat with other heels and we knew we were in for one of “those” nights. 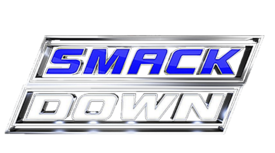 – We’re actually fans of SmackDown’s occasional “cheesy promo mash-up cold open” where they’ll announce a match and then mash together promos from the competitors with fancy music in the background. This episode was one of them, as it was announced that a fatal four-way between Cesaro, Apollo Crews, Sheamus and Alberto Del Rio would determine who’d fight WWE United States Champion Rusev later in the show for the belt. Cesaro’s promo was probably the coolest since he literally drove a van in his secret agent suit, rolled down the window and “invited his opponents to an uppercut party.” Crews put over his underdog status being the reason he could win. Sheamus questioned Crews’ involvement in the match (assumedly to presume their feud) and proclaimed he’d have fun kicking off Crews’ head before ultimately dethroning his old buddy Rusev. Del Rio finished it off as he made fun of Sheamus’ hair problems (given their tensions on Raw, this wasn’t new) and dismissed Crews as a threat. True – this could be cheesy as hell, but we got a big match and heard from all the competitors in the first two minutes. Job done. – Just when we thought maybe WWE would duck their way around a month without Roman Reigns with no mentions, they went right to it thanks to Seth Rollins and the opening segment that also involved WWE World Heavyweight Champion Dean Ambrose, AJ Styles, John Cena and Stephanie McMahon. Now, the way Rollins did it was fine, but WWE relies on big screen graphics a little too much. Took the fun out of that, but at least it grabbed our attention. Rollins milked himself up at Reigns’ expense to get cheers and tried to push for a one-on-one rematch which drew out Ambrose, who stood by Reigns and said everyone made mistakes. Styles was a good fit in the segment since there was a chance now to add more people to the Battleground match and once Styles was out, Cena was only going to be next. Styles and Cena also had valid reasons for being added separately. It also fit Steph’s character to despise Ambrose as Champion since he goes against the “corporate image” and anything to increase his odds of losing wasn’t unheard of. Plus, it gave us two matches to make the show more interesting as we learned Cena and Styles would be added respectively to the match if Cena beat Rollins and Styles beat Ambrose. Everyone essentially got what they wanted. – The opening in-ring segment with The Club and Enzo Amore/Big Cass solidly hyped for the fatal four-way Tag Title match at Money In The Bank, which would involve Luke Gallows/Karl Anderson, Enzo/Cass, The Vaudevillains and WWE World Tag Team Champions The New Day. We also had AJ Styles talk up his big match with John Cena and sold it as “bigger than WrestleMania” to an extent. He also threw in some good heel logic when he mentioned that it was time for a change and the “New Era” didn’t truly start until he took out Cena, which was his plan all along. Enzo/Cass delivered their lines nicely for the most part, even if they spun their wheels a bit on the material. Did like how Gallows/Anderson sold their global credibility, while Enzo/Cass had “Mr. Clean Dream Team” as a retort. Gallows may have even threw a rhyme down there. Overall, a decent interaction that set up the match to follow. If I began to describe a six-foot tall, 300-pound man possessed with the ability to attack his foes with furious strength and also fly around like a human wrecking ball, you’d probably think it’s the latest James Bond villain or my newest created superstar on WWE 2K16. That’s not the case however. 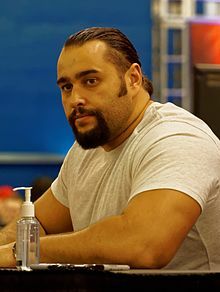 The man previously described is best known as current WWE United States Champion Rusev, the big Bulgarian whose already had an impressive career complete with a long once-undefeated streak, a lengthy US Title reign and a freaking tank entrance at WrestleMania 31 before he got to work with John Cena in what fans considered one of the show’s best matches.